This trail takes you to the barren, rocky summit of Avalanche Peak featuring panoramic views. 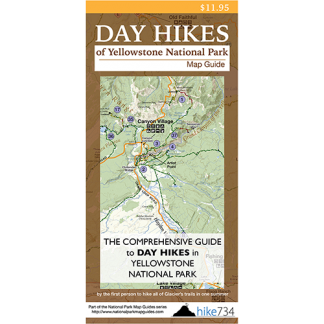 With little exception, this hike is steep all the way from the valley to the summit. The first mile follows a stream and spends most of its time in the trees that provide shade while limiting views. The older forest gives way to a burned area with large silver stands of trees, creating an otherworldly landscape as it transitions into the alpine. You then enter into the rocky landscape below Avalanche Peak. From here to the summit, the unobstructed views are amazing . 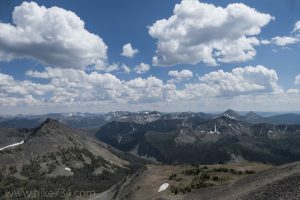 They include the majestic Absaroka Range and the massive Yellowstone Lake. Bighorn sheep, alpine birds, marmots, and pikas can often be seen on this peak. Trailhead: Look for the Avalanche Peak trailhead sign located near Eleanor Lake, between Fishing Bridge and the East Entrance on East Entrance Road. The trail starts on the north side of road.